Gold & Silver of Louisiana offers jewelry repair services in Covington, but our client base reaches Mandeville, Madisonville, Abita Springs, Folsom, Hammond, Slidell, Ponchatoula, and even New Orleans. No matter the type of repair needed, we are ready and equipped to help restore your jewelry. 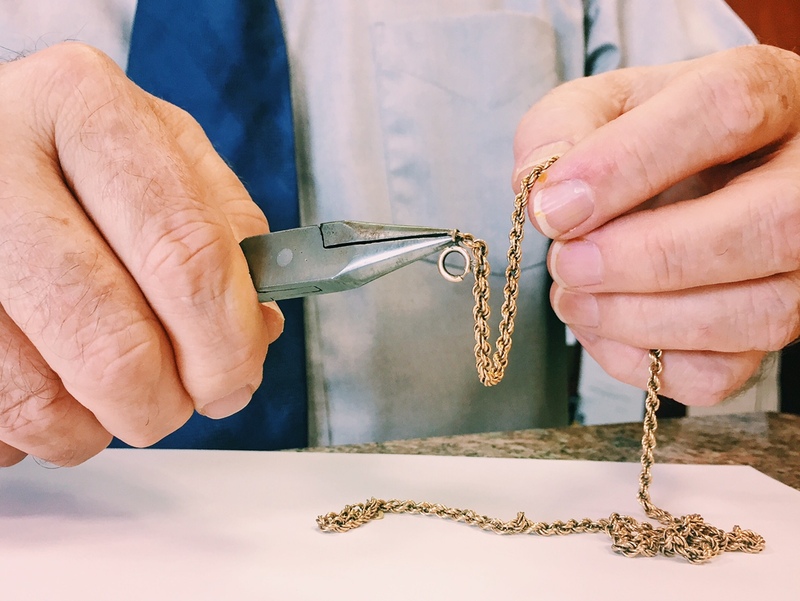 We serve clients with simple fixes like adjusting or replacing a clasp, tightening a diamond setting, and ring resizing to increasingly more difficult repairs including soldering metals and recasting. We even take care of watch battery replacements and repairs. We commit to providing the best care for all your repair and replacement needs. Stop by to visit us in Covington, LA. We also offer customers the opportunity to custom design any piece of jewelry with any sized budget. Feel free to bring by your loose diamonds, pendants, or various other precious stones, and we will be delighted to help you create your one-of-a-kind, beautiful jewelry piece. Our professional jeweler can recreate vintage and antique jewelry, enhance any piece and bring back the radiance of worn down jewelry. We are happy to work with you and share our knowledge and guidance as we create your custom diamond engagement ring, bracelet, necklace, enhancer, earrings, engravings, and much more. Feel free to call us with any questions, to arrange an appointment, or drop by our store.